The term, "Fifth Column," came into popular use in the Spanish Civil War in the 1930s and thereafter as socialism and fascism were sweeping into conflict to take over the nations of the West. It means a group of guerrillas, activists, intellectuals, etc. who work to undermine a nation (or some larger organization) from within. Its activities can be out in the open, or they can be secret. Today in America, the neoconservative political movement represents a "Fifth Column" for the forces of collectivism. It's intellectuals and activists promote themselves as conservatives who oppose the liberals, but their political philosophy has nothing to do with what is known as American conservatism, which has always stood for a limited Constitutional government and free enterprise. These values are anathema to today's "neoconservatives" in the nation's political, literary, and scholarly circles. 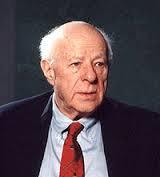 The late, Irving Kristol, editor of The Public Interest, and Norman Podhoretz, editor of Commentary, were the founders of the neoconservative movement in the late 1960s. In their youth during the 1930s and 1940s, they were followers of the communist, Leon Trotsky. Having bought into the Bolshevik Revolution of 1917, they saw socialism as an ideal that needed to be spread to the West. While they and their followers subsequently modified the Marxist roots of their ideology in favor of a more gradualist methodology, they always remained adamant supporters of collectivism for America. Are they outright socialists? No, but their policy proposals have always been in favor of massive government welfarism domestically and an aggressive militaristic foreign policy that seeks what is termed "benevolent global hegemony," in which the U.S. military is to be used preemptively to spread democracy throughout the world. The paradigm that neoconservatives have given their lives to is built upon a centralized mega-state running American society from Washington and also, as much as possible, the rest of the world. The neoconservatives, thus, represent tyranny's Fifth Column in America. They are deceiving the people into believing that they are genuine conservatives, but like the socialists who were their mentors, they call themselves what they know the people want to hear. These ersatz conservatives have now grown to dominate Washington's think tanks, Wall Street's brokerages and banks, and many major publications and universities. They are highly influential writers, scholars, pundits, publishers, institute heads, bankers, and corporate moguls. What follows are eight of the more influential neoconservatives in America, past and present. These are not friends of freedom, but enemies. They need to be recognized for who they are, traitors to what America was meant to be. They need to be exposed and attacked as we would attack serpents who are slithering into our back yards to threaten our safety and our families. Considered to be the "godfather of neoconservatism." A powerful liberal writer during the 1950s and 1960s, he had grown disenchanted with the Democratic Party by 1970 and switched to the Republican Party, coining the name "neoconservative" for the band of intellectuals he brought with him. Immensely persuasive in the shaping of the movement. 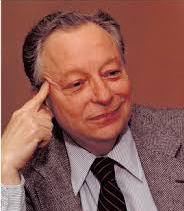 One of the major founders with Irving Kristol of neoconservatism in the late 1960s, he served as Editor-in-Chief of Commentary magazine from 1960 to 1995, pouring out a myriad of articles and books on the need to build America into an all-pervasive "collectivist state," but one that respects traditional values instead of the amoral values of liberalism. Called the "Prince of Darkness" because of his extreme hawkish military stands. A member of the Reagan Pentagon, now serves in Washington think-tanks such as the Hudson Institute and the American Enterprise Institute. Vehemently promoted the invasion of Iraq; favors extensive intervention in the Middle East to bring about regime changes. The most hawkish advocate in the Bush administration and the architect of the Bush Doctrine. 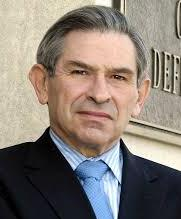 A fellow at the American Enterprise Institute, he is a former World Bank chief and Pentagon official who was closely involved in the decision to invade Iraq in 2003. He has been back and forth between academia and government for the entirety of his career. 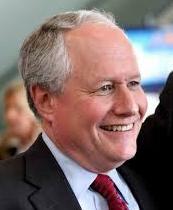 Son of Irving Kristol and editor of the prestigious Weekly Standard, he was the cofounder of PNAC (Project for the New American Century) with Robert Kagan. He is a widely recognized pundit and influential Washington political operative. Director at the Foreign Policy Initiative and member of numerous think-tanks in Washington as well as a Fox News regular. 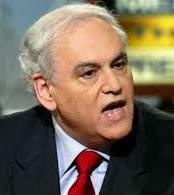 Cofounder with Bill Kristol of the Project for the New American Century, Kagan is a policy pundit and historian based at the Brookings Institution. He serves also as a contributing editor at The New Republic and, thus, personifies the collectivist liberalism that infuses neoconservatism. They are statist ideological brothers. The director of the hawkish neoconservative Center for Security Policy, Gaffney has been a longtime advocate of interventionist U.S. foreign policies, ever-increasing military budgets, and aggressive attacks upon the Islamic world. A regular on Fox News. 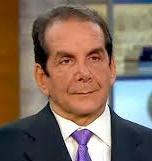 A writer for The Washington Post, Charles Krauthammer, is considered to be the most influential neoconservative political columnist in America. He is a Pulitzer Prize winner, Fox News talking head, and was a weekly panelist on the PBS show, Inside Washington, From 1990 to 2013. There are, of course, many other prominent neoconservatives than just these eight. Hundreds of others like Bill Bennett, Elliott Abrams, Joshua Muravchik, James Woolsey, John Bolton, Max Boot, Karl Rove, David Frum, and Condolezza Rice are assiduously working to advance mega-statism throughout America and the world. By 1910, socialism had become the new wave of the future in European universities. The Fabians were growing to power in Britain. And numerous socialist intellectuals were emigrating to America to begin subversion of the citadel of capitalism. One problem, however, confronted the invading intellectuals coming to our shores. The American people were vehemently resistant to socialism. Fabians and Cultural Marxists soon realized that the socialist revolution would never take hold in America as "socialism." They realized they must redefine their revolution and disguise it. Thus between 1910 and 1920 they began to refer to themselves as "progressives," which solved their alienation problem. Americans were willing to listen to "progressive" ideas, but not to "socialist" ideas. This is classic Marxist strategy: become in name and image whatever will more readily convince potential converts. Retain your fundamental collectivist principles, but change the methods of implementation to fit the situation. In the years between 1920 and 1940 the original neoconservatives like Irving Kristol, Norman Podhoretz, Daniel Bell, Nathan Glazer, and Sidney Hook were coming of age and developing their worldview. At first openly socialist, they soon adopted the label of "progressive," and eventually began to use the term "liberal" because of it's widespread acceptance in American intellectual circles. Thus socialists became progressives who then became liberals who promoted progressive policies. The intellectual coup d' etat was complete. Tyrannical socialism could now be promoted as something liberal, benign, and progressive. All intellectuals of the left were now solidified around promoting socialist ideology under the name of "liberalism." Such a strategy became spectacularly successful up through the late 1960s moving America insidiously toward the collectivist ideal of an egalitarian society via massive government coercion. The goal was to bring about "equality of results" in life by leveling down productive people as much as possible to the lowest common denominator. The Marxist vision was making great progress by eroding the individualism that had created and built America. Unfortunately, the mid-1960s came unglued socially because America's youth went bonkers by adopting a New Left radicalism that shook the politics of liberalism to its core. Counterculture rebellion raged among millions of young people who came home from college to kill their donkey parents ideologically. Stability and sanity collapsed into a heap of drugs, nihilism, and contempt for conventional liberalism. It was at this time that Kristol, Podhoretz, and numerous of their powerhouse liberal colleagues switched to the Republican Party in face of George McGovern's 1972 takeover of the Democratic Party. They cast off the name "liberal" and adopted the name "neoconservative" so as to break totally from what they perceived as the lunatic fringe of New Left liberalism. Thus the neoconservative revolution was born via yet another name change. Socialists who became progressives who became liberals had now become "neoconservatives." Of course, the fundamental principles of collectivism and mega-statism were not discarded, only the name of liberalism. Ideologically the neoconservatives were still very much collectivists and statists. But the new name gave them a new life in which they felt they could thrive more successfully. Mega-statism with traditional values had always been their political vision; now it could be openly promoted as neoconservatism. It caught on and attracted droves of big league scholars and pundits to join with it, which grew into today's neoconservative hold over Wall Street, the nation's corporate moguls, the Republican Party, and many of Washington's prestigious think-tanks. The serpents had propagated. The Fifth Column had done its job. Thousands in the media became quite comfortable subscribing to "neo" conservatism and discarded the philosophy of "libertarian" conservatism, which had built the country and was the true conservatism, the true opposition to liberalism. The American people (conservative by nature) fell for the hoax and loyally supported the neoconservative movement, assuming it was what would keep the country free when actually it was working to do just the opposite. It was smuggling America into statism. Thus both liberals and neoconservatives and their respective political parties - the Democrats and Republicans - are relentlessly moving our country into mega-statism today with full support from our professors, our media, and our people. "Corrupt the money and the language," said Marx. Freedom and capitalism will then fall. Today's neoconservatives are not conservative; they are rabid collectivists. But you won't hear that from the American people. They have been bamboozled. The only solution to this ideological deception and corruption is to revive the vision of "libertarian conservatism" subscribed to by the Founders. This means a free-market, not a mega-state. It means the protection of equal rights, not the conveyance of special privileges. It means a mind-our-own-business foreign policy, not the pursuit of world hegemony. If the Founders were alive today they would be heaping the same scorn on the "neoconservatives" that they heaped on the Tories and King George. Tyranny is still tyranny whether it calls itself socialism, fascism, liberalism or neoconservatism. 1. Irving Kristol, "Looking Back on Neo-Conservatism: Notes and Reflections," The American Spectator, November 1977, p. 7. 2. Daniel Shapiro, "The Neoconservatives," Libertarian Review, January-February, 1978.